Rhubarb and custard. It's a classic and deservedly so. Rhubarb and custard dessert with curd cheese mousse. 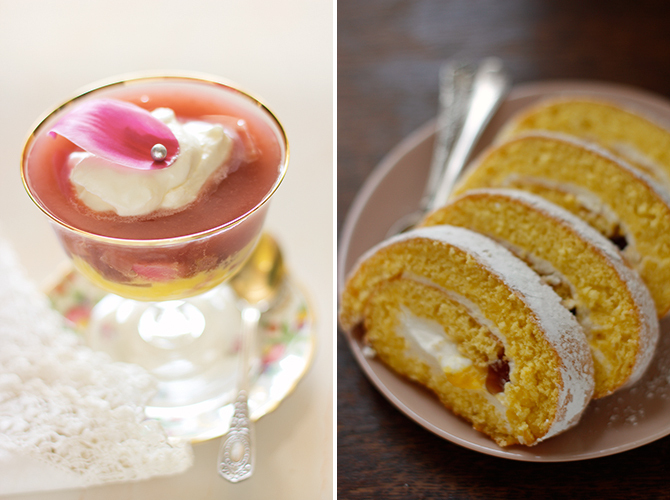 A swiss roll with rhubarb and custard filling. 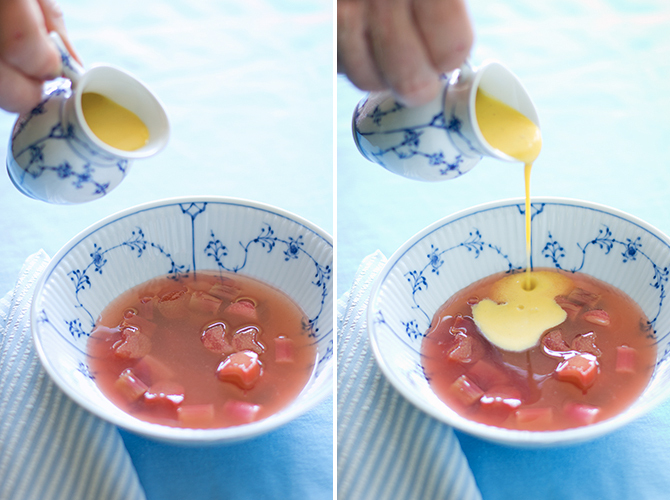 I find the simple version to be the best - cool and warm, tart and sweet - rhubarb rose kissel with vanilla custard. Whisk egg yolks with sugar, Grand Marnier and vanilla until pale. Scald milk and pour onto the yolks in a thin stream while whisking. Whisk the custard mixture over a bain marie until thickened, take off the heat and cool. 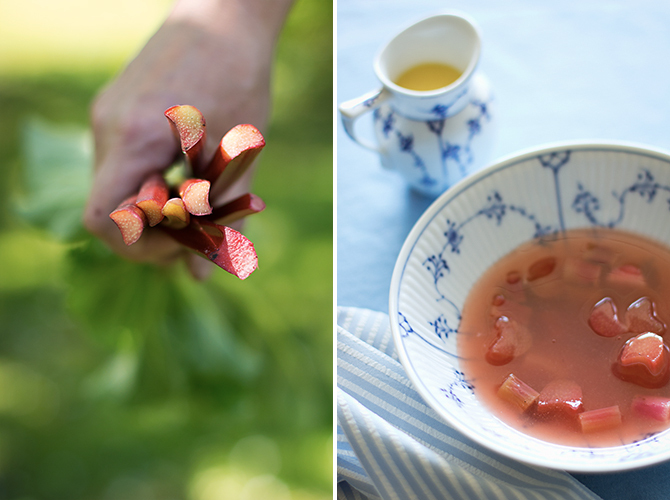 To make the kissel, wash and chop the rhubarb into 15mm chunks and toss into a saucepan with sugar, water and rose water. There should be enough water to loosely cover the rhubarb and then some. Add sugar according to taste, you might like it sweeter or tarter. Simmer on a low heat until rhubarb is just tender but not falling apart, about 10 minutes. Gently strain the liquid and return it back into the saucepan, saving the lovely rhubarb chunks for later. Return the saucepan to the heat. Mix the starch with a couple of tablespoons of cool water and pour this into the saucepan. Mix well and let it come back to boil, take off the heat, cover and let cool. Put the rhubarb chunks back into the kissel or serve separately. 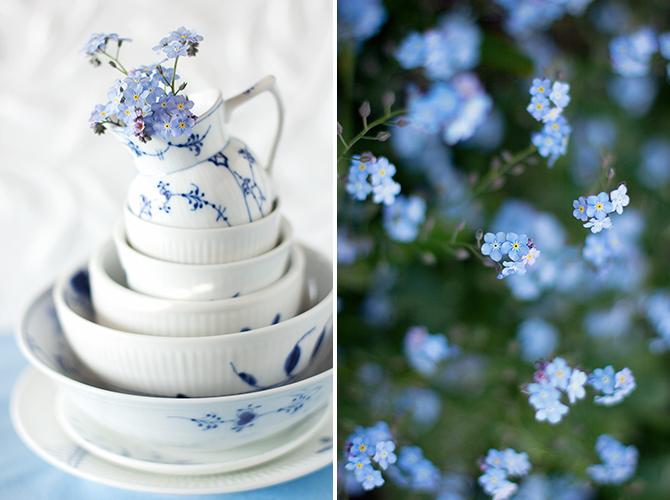 No matter who made it, they are really beautiful! :) And so is your blog!